When is a Lock, Not a Lock? January was an interesting month for cryptography. The UK Prime Minister made some very strong statements about digital communication, essentially calling for strong encryption to be shirked by providing law enforcement with a back door. The US National Institute of Standards and Technology (NIST) announced the deprecation of several Federal Information Processing Standards (FIPS), one of which is notorious with cryptographers and privacy advocates — FIPS-185 or the Escrowed Encryption Standard was introduced in the 90’s as a method of providing law enforcement with a “universal key,” primarily through key escrow with the Clipper Chip being an example implementation. Twenty years later, we are having the same conversation again. It is almost ironic that two very close allies are having the same knee-jerk reaction to data encryption but twenty years apart; one declaring their key escrow attempt dead, while the other is resurrecting this type approach. If we consider that encryption is akin to a digital lock that can be applied to digital information, this begs a question. We have established that a “universal key” is a bad idea both in the digital and the physical world, which comes back to our question, when is a lock not a lock? Regardless of whether physical or digital, a lock is not a lock when a fully autonomous third-party has access to the key and the ability to use that key without the knowledge of or permission from the lock’s owner. What is the Dark Tequila Threat? Matthew handles Zimbra's public and analyst relations, including industry analyst firms likes Gartner, Forrester and Osterman Research, driving increased brand exposure, thought leadership and placement within key analyst reports. 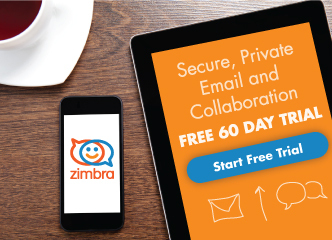 Interactions with journalists and analysts cover the entirety of Zimbra's product portfolio and stretch across Zimbra's global footprint. Prior to Zimbra, Matthew held various marketing positions with a global software security firm specializing in PKI/SSL, authentication, authorization and mobile. 2 Responses to When is a Lock, Not a Lock? That’s some great stuff Matthew! This remark here is spot-on “We have established that a “universal key” is a bad idea both in the digital and the physical world”. Thanks!